Once dry, using the white piping bag, add a small dollop of icing onto the back of the egg cookies to act as a glue. These are going to be your bunny feet. 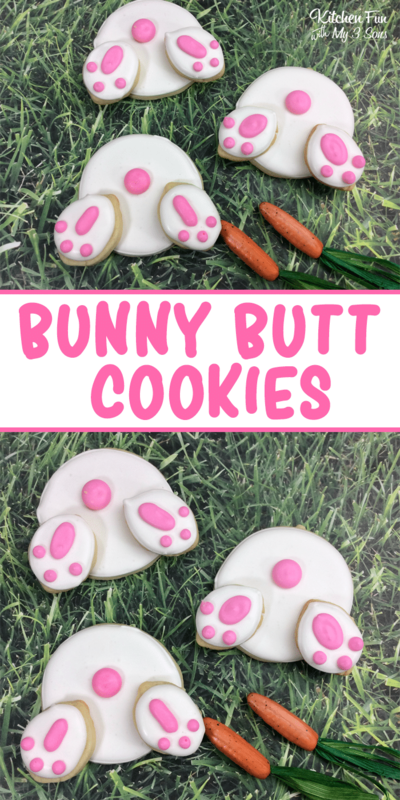 Place two bunny feet on each circle cookie. Using the pink icing, add the details to the feet and pipe on a pink dot for the bunny tail. Let completely dry for an hour to two hours before enjoying!